It’s a gorgeous day in Baikonur. The Soyuz TMA-9 spaceship and the Soyuz booster look beautiful, silhouetted against a clear blue sky. This pad is the same used 45 years ago to launch Yuri Gagarin on April 12, 1961. One hundred years from now, this may be a historic shrine celebrating the earliest days of humanity’s first evolutionary steps toward the stars. This mission’s call-sign is “Vostok” which means “east.” It is also the name of the vehicle that carried Gagarin into orbit. The onboard TV cameras have just gone live with in-cabin video. I can see Soyuz Commander Tyurin in the center seat, and NASA Astronaut Mike LA in the left seat. Now the camera angle has just changed and I can see Anousheh in the right seat. I think she has a permanent smile on her face! She’s running through the check list. Her glass bubble helmet is half-open. In the foreground of the image you can see a little stuffed bear dangling from the control panel… almost like you would put on the rear-view mirror of your car. This is just one of the many Russian traditions. When the bear floats, you know you are in Zero-G. I remember in 1983 when I traveled down to Florida to watch the flight of Sally Ride, the first US woman to fly into space. One of the billboards said, “Ride Sally Ride, and all you guys can go along too.” For too long spaceflight has been a male-dominated occupation. One of Anousheh’s goals, through this flight, is to help excite young girls worldwide to follow in her footsteps and reach for the stars. I just had two friends call me to make sure I’m watching the flight. Jack Bader, X PRIZE Trustee in St. Louis, and good friend Dr. Kyle Sprecher in Houston. I hope many more are also glued to the TV or internet. The voice of mission control has just announced that we’re at L-10 minutes and all systems are go. I just received a call from Eric Anderson, CEO of Space Adventures. He and his entire staff are up late in the office, watching the launch on a large-screen TV. Eric tells me not to get too excited until after L+8.5 minutes, when the staging has completed and vehicle is in orbit. At L-30 seconds… I can feel my breathing change… the control arms have just pulled away from the vehicle… the cosmonauts are shaking hands. L-0… Ignition, launch… the vehicle looks perfect climbing into the sky… the plume is now looking like a star rising into the sky. L+5 minutes. I can see Anousheh from the onboard cameras. Amazingly the TV signal is clear and strong. Anousheh still has her permanent grin. She is following along on the check list. Mission control is saying that all is operating nominal, g-forces are normal, vibration is minimal. Stage 2 has just completed its burn and Stage 3 is now operating nominal. At 7 minutes into the flight the speed is now 13,000 miles per hour, on the way to orbital velocity of 17,500 miles per hour. The magic moment has arrived — 8.5 minutes into the flight. The third stage has completed its task — Soyz TMA-9, Expedition-14 is now safe in orbit. Congratulations Anousheh, your dream has come true. You are in orbit! You have made it to space. You are one of only 500 humans who have ever traveled to space. Afarin bar to … Afarin bar to zan-e Irani…. Afarin…. Sad- Afarin….Your courage deserves a gold “STAR”…. First of all CONGRATUALTION!GOOD LUCK in your travel to space! I’m glad to be first Iranian person that tell you congratulation thence you go to space !!! Congratulations, indeed! I look immensely forward, as do many, to the observations Anousheh will bring to us from high above this majestic, fragile sphere. Hear, hear! and good luck. Tabrik migam,safare kheyli khoobi dashte bashi,to avvalin web log nevis az faza hasti.ehsaset ro az avvalin negahet be zamin az omghe faza benevis. I hope we can see some photos some day :D. wish u luck! I wish you more progress in life, and I wish more achivements for mankind from your dreams. Your fly is important not only because of scientific view but also this fact that you are an Iranian-American woman. she said she was going to space and she went. how awesome is that? What an inspiring lady you are! It’s wonderful that you’ve made this dream come true. Have a great trip and send us some photos. Congratulations on your achievement. hameye mardome iran khoshhaland..shoma baese eftekhare hameye irania hastin hame ba ahr aghida va mazhabi. mikhastam bebinam chetori mitoonam ba khanome ansari mokatebe konam. kheyli delam mikhad emaile khanome ansario dashte basham. man alan ke in comment roo mizaram hodoodan 3 saati mishe ke khanome ansari raftan faza barashoon arezooye movafaghiat va salamati daram. khahesh mikonam emaile khanome ansari roo baram bezarid. shado pirooz bashid dar panaye khoda..
Have a nice trip dear Anousheh ! I’m wait to hear aboat your sense in the space ! I was hooked on to the NASA screen, on my Computer, from 00:00 hours upto 01:00 hours and even though I did witness your take off I was unable to see it as clear as Peter has described it. How ever I am going to be monitoring your journey all through the 8 days and once again congratulations and I am sure we will all see you back safe and with loads of experience to share with us all. Salaam. I woke up earlier today just to see your launch to the orbit on tv. I could hardly sleep cause I was also nervous. We are all proud of you. Keep going our new Hero. 🙂 you are making dreams come true.. i think .. you are kind of ‘signum’ for people like me ..
you are in heart of iranians! Congratulation…I’m so glad and surprise because of your trip. I wish you have a safe and memorable trip…and also I’m standing by for you…to see you here in Iran. As was said so many times to John Glenn, and now for you, Godspeed! May all your dreams and ambitions fly as high as the stars. Wahey! Fantastic Anousheh you got there. You’ve been on the main news here in the UK for just the last few days and of course my ears prick up anytime I here about space travel but especially a female space tourist. It was the BBC news site that mentioned your blog. سلام….اخبار سفرتون رو پیگیری می کنم…موفق باشیدوباعث سربلندی ما شدید و ایران…. Hey people with the station much bigger now it ought to be much easier to go outside and watch the station while she is docked. Have a good trip! and don’t let the idiots on earth bring you down. I am looking forward to seeing the results of your work helping to bring space to the people of earth. Iranian share one feature which is being UNPREDICTABLE, Anousheh is not a prfessional astronaut, given this it is amazing how she handled the whole thing. God bless her and all the crew on board! salam man englisim ziad khoob nist be khater hamin hamoon be zaboon madarim sohbat mikonam man 16 salame va mesle shoma asheghe didane zamin az faza hastam va doost daram yek roozi iss ro ba cheshmhaie khodam bebinam …. Congratulations, this is really great! for the world peace with your loverly heart. All the Iranian are proud of you Anousheh, Wish you a good luck! thanks for your bravery, go and open the new gates to our clear future. Hello Anousheh, Congradulations and good luck. We are all proud of you. Take care and enjoy the trip. متاسفانه كمي عجله كرديد و درباره گولو خيلي زود قضاوت كرديد.مطلب مربوط به خانم انصاري در نوبت پست قرار داشت، اما بخاطر كامنت شما همين امروز اونو تو وبلاگ گذاشتم. بازم به گولو سر بزنيد. One Of The Greatest Momnts Of My Life… Can Beleive it…. I Nearly Crying When I’ve Watching Your interview With Channel 4…. متاسفانه آسمون مشهد بد جوری ابریه.وقتی که نباید بگیره میگیره. نتونستم رفتنتون رو زنده بینم ولی همه شبکه های خبری رفتنتون رو نشون دادن و غیر زنده بدرقتون کردن. به امید دیدار ویا دیدار عکسایی که از اون طرف آب وخاک میگیرین. دوست دارم جز اولین کسایی باشم که تصویر فیلم ویاعکستون رو وقتی برگشتین ببینم.آخه همشهری گفتن! گفته بودین چه قدر حاضریم واسه رسیدن به آرزو هامون پرداخت کنیم و واسه رسیدن بهشون تلاش کنیم؟من که میگم به قیمت و اعداد نیست.توی یه جمله میگم:هرچقدر که بتونم ومحدوده عمر اجازه بده! وبلاگ من به خودش میباله که رد گامهای اولین زن ایرانی فضا نورد رو روی تنش حس کرده وهمیشه بوی گامهاتون رو روی وجودش پخش میکنه و خودش رو معطر میکنه. امید وارم دوباره به من سر بزنین. خانم انصاري:از حالا منتظر ديدن سايتون روي ماه هستم.از پس فردا چشام به آسمونه.خوب نگاه کن!يکي داره واست دست تکون ميده.واستون دعا ميکنم،اصلا اين شب جمعه که رفتيم حرم،مختص شما.وعده ما پنجشنبه ،بيست ويکم سپتامبر(سي ام شهريور)همزمان با روز تولدم.ميعادگاهمون:من توي صحن رضوي زير آسمون شب،شماهم توي سفينه فضايتون پشت پنجرش.به اميد موفقيتتون. It is such a delight to see that you have made your dreams come true with your dedication and hard work and have become such an inspiration for all of us!!! Our thoughts and prayers are with you. May you have a safe and successful journey!!! Dear Anousheh. Greetings from Oslo, Norway. You brought tears to my eyes. Tears of pride … Your success story and your daring action to realize your dreams are fantastic. Wish you the best. You are the best role model for women and the Iranians. Keep up with you work towards the goals you have set up. Have a safe trip back home! My Prayers to you, Anousheh! When you look down on our planet you see it as one. This is the way God wanted it to be with all the living creatures,ONE! From here on the ground this is not so. Please use your influence to help make this planet ONE. I am doing what I can as the little man. EuroRock2006 and 2007 and beyond! Hey Ansari! congratulation for your safe flight to orbit. You are like “hero” and insperation to young people around the world. And im a supporter of whatever you guys are doing with X prize cup and all. I hope you have a safe flight to ISS and back. I was born in 1984,just when you left Iran! When I was 15 years old,I had the same dream that you had.. I killed that dream inside..But now you Mrs.Ansari gave life to it again..
AND I’M VERY PROUD OF YOU! vaghean khoshhalam ke mibinam ye irani movafagh be in kar shode. It’s regrettable that we can’t access the videos on demand, on the NASA site. I missed the launch’s live broadcast and now I can’t find its video anywhere? Any solution? i hope you alwayes remember that you are iranian ! alot of Iranian girls and boy when they will be famous they say we are not Iranian realy ia m so sorry for them !!! I think all the Iranian nation are soooo very “PROUD” of you! You show how an Iranian intelligent woman can achieve to her own big dreams to all the world. congratulations & enjoy of your dream trip! Je suis ravie qu’encore une femme iranienne fait parler de l’iran dans les médias et de façon positive. nb: comment peut on disposer de votre e-mail pour vous adresser une invitation à Paris? khely be khodam eftekhar mikonam he khaharam khanome ansari be onvane avalin banoye irani be faza safar mikone.nemidanom ehsasamo chetor begam faghat kheyli dostet daram .va barat arezoye movafaghyat mikonam.baram mail bezan.mamnonetam. ما ايرانيان براي تو آرزوي موفقيت داريم. يك درخواست داريم كه يك ويلاگ فارسي بسازي. از ته دل دعايت ميكنم. Just about 3 years ago while I was walking in one of Tehran’s streets,I asked something from my dad and that moment I made a wish or it might better to say a dream..After three years I feel one step closer to that dream and now seeing you and your determination,ambition,power and your priceless faith in your abilities make me sure to seek my dreams even if it seems so far..It definitely won’t be as far as space that you reached it. Don’t know how to say my feelings..Just wanna say as an alone Iranian girl who left her land to reach her goals,im SO PROUD OF WHAT YOU DID and WISH U ALL THE GREAT SUCCESSES.. The first female space tourist,YOU DID A GREAT JOB. Afarin va Sad afarin be in dokhtare IRANi. Kheily dost daram khaharam mesle to beshe. Shayad esme dokhtaramo gozashtam Anousheh. albate man hanoz ezdevaj nakardam. mesle hameye iranihaye aziz doset daram. Hi! I have been following your trip ever since I first heard about it on bbc news. Although my passion for space travel is no where near as passionate as yours is, I feel so much curiosity it is hard to not to be drawn into it. Your life story interests me so much, being such a high acheiver from such an early age and having the guts to move to a completely different country to pursure your dreams takes alot, I know. Being 17 now, there is so much I want to see and do, I am, at the mintue doing what I want and seeing a bit of the world, and enjoying my work as trader massively! I think you being an ambassidor for private space travel is excellent, you have certainly captured my interest and your passion for space is very encouraging! All the best with your trip, I hope its everything you dreamed of. Lloyd. Congratulations to you three for a nice safe orbit! So, when will you plan your visit to Mars? فکر می کنم الان در فضا باشید. امیدوارم هر جا که هستید موفق و موید باشید. Great launch! Congratulations! Please call all ham radio operators on the kit already installed on the ISS – we all want to talk to you! congratulation.i wish you have safe trip.you show to the world that iraninan are stronge to do the work like this.i’m happy that you’ve made your dream come true .all of the iranian proud of you . amirali hastam 22 sal az iran .daneshjooe honar. .omidvaram ke hamishe shado khoshhal bashin bazam be baghiye ye arezoo hatoon beresin . congradulation.wish u the best as as you are. For this matter , i glad that a Iranian Woman can trip in space. I wish a good trip for you and your frineds. I hope see you in iran, your fatherland. hello ms. ansari, first i like to say congraluation behalf of my country india n its millions of ppl to u on your great victory.i pray to almighty for your safe return n good journey in space. alan shoma to faziaid!emrooz sobh raftid!! !omidvaram behetoon khoosh begzare!!! be ajay ma haham negah konid!! mozeb toope abi bashid!1ye vagt panchar nashe!!! I attended an Xprize event in St. Louis years ago. These are exciting times for women! Keep on Smiling! I told your story to my daughter (she’s 14), she was fascinated. I told her as a conclusion: dream, my little girl, dream and make your dream come true. My family and me have a great admiration for you. Good luck et bon voyage ! Hi, compliments for you fly into space!! با سلام ، سفر شما به فضاآرزوی دیرین هر انسانی است که دست یافتن به آن بسیار دشوار است و اکنون که شما بعنوان نخستین بانوی گردشگر کره خاکی به این آرزوی دیرین دست یافتید صمیمانه به شما تبریک عرض نموده و برایتان آرزوی موفقیت میکنم . خانم انصاری ، زمانی که کودک بودیم همیشه میگفتند اگر شهابی را در آسمان دیدید آرزو کنید و آرزویتان براورده خواهد شد . شما نیز در فضا آرزو کنید که تمام مردم این کره خاکی بدور از هر جنگ و ظلمی فقط و فقط در سایه صلح در کنار هم زندگی کنند . We will always be thankful to you and your family for giving us hope to be next in space, the X-price was a beautifull gift to all of us. Enjoy your first trip, i’m sure there will be others. What a lady !? I am very IMPRESS by you , wish you the best. My heart and thoughts are with you. Barekat-e khodavand bar shoma va zafar-e shoma! I envy you, but am sure you deserve the joy of fulfilling your dream. 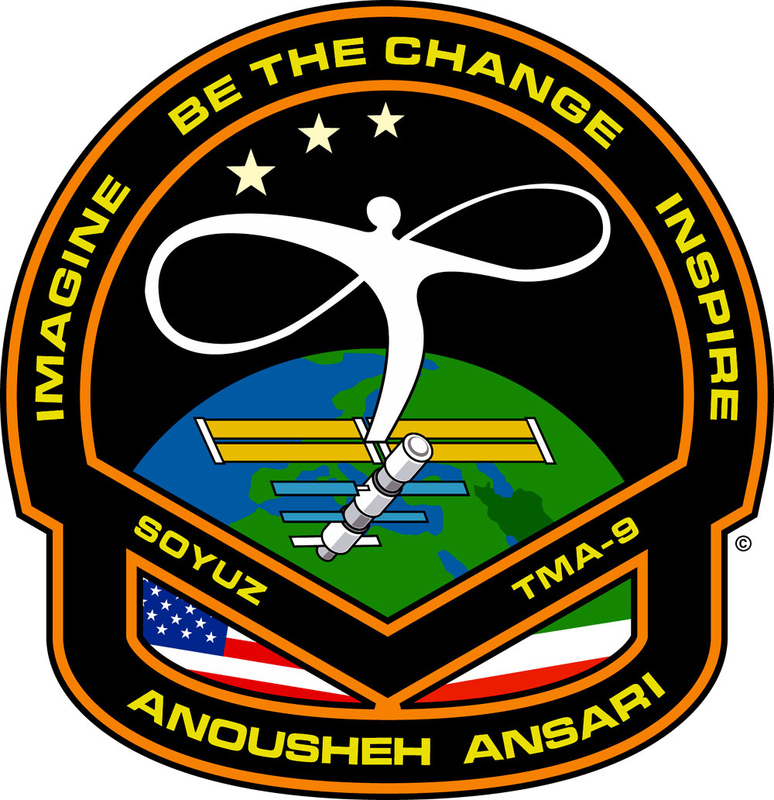 and everytime I read a news about anoushe these days in newspaper or internet my eyes fill with tears of happiness but I think this is not a credit for Iran that somebody from Iran goes to space this is a credit for USA. I am realy proud when Iran can send somebody to space regardless of her/his nationality. was it not better to make happy 1000 families without a work or 1000 childrens without money to eat ? good luch azizam, omid ke hamishe movafagh bashy, nemoone zane IRANI. I have dreamed of space travel ever since I was a little girl, inspired by my father who has always been an enthusiast. Thanks in part to your support of commercial space travel, I hope I can one day afford to buy a seat for my father and myself on a trip into space. Thank you!! I can’t wait! You are a honorable iranian woman not for Iranians but also for the world! Anousheh,Your success is my desire. All persians are proud of you my compatriot. please tell us how you feel about being first persian astronaut when you back. Hamin alan chand ta az dustaye kharejim be man email zadan va matlabe marbut be shomaro vasam ferestadan, shaiad vasashun shenidane inke ye irani be faza rafte bavar nakardani bude bashe, manke junam darumad begam ma kheili khub ham tu iran peida mishe, vali ku gushe shenava, hala una hastan ke mikhan mano mojab konan ke baba khub ham tu iraniha peida mishe, tahsil karde, basavad, …. you did it! that’s great cause you’ve not forgotten your childhood’s dream. May you do it well. Ride Anousheh, ride around the world and feel the beauty of universe. Good luck with your wonderful journey, hope the weightlessness does not make you feel ill. Looking forward to reading the experiences you have. be khoda misparametoon ba arezooye dashtan safar iaram va aliii khoda negahdaretoon …. Have a very good trip. Someday I will go too. on ghadr khoshhalam ke nemitunam ehsasatamo baian konam. faghat inke be onvane yek dokhtare 18 saleye irani va be namaiandegi az tarafe hameye dokhtaraye irani migam : be shoma eftekhar mikonim. ey kash safari be iran dashtid ta shoma ro az nazdik mididim. anoushe ansari alan yeki az super ghahramanane royahaye mane. shoma yeki az bozorgtarin arezoohaye mano baravarde kardin, safare yek irani be faza ke avalin safire fazaiie jahan khahad bud. dustetun daram , safare por hayajan va khubi dashte bashid. how shortsighted politicians are!!! I a so sorry that such limited views dominate our lives. Spontaneously, by beeing what you are, you incarnated the possible peace ….. but Mr. this and Mr. that have their own limited views opposite to your broad love of life..
درود بر تو، درود بر ایران ودرود بر ایرانی به تو افتخار می کنیم و اخبار سفرت را هر روز پیگیری می کنم. از آن بالا برای مردم جهان صلح را آرزو کن و برای مردم ایران نیز درود بفرست. Congratulations with being the first muslim in space and a key representative for Iran and the U.S a true ambassador for uniting the world. Can you tell me, is it cloudy over london ? You have done it! !Into the history books you go! !How great for women,americans and iranians. I agree no politics , it is the politiians who make trouble not the people. yippees for persian/american womens. good luck my prayers are with you SHINE ON!!!!! Congratulation!!! !I really dont know how to tell my feelings,but be sure that all Iranians admire you because you show and prove that who is an IRANIAN and IRANIAN WOMAN. ba salam be eftekhare bozorge iran va hamehye banovane iran va mardome mosalmane donja va hamehye banovane jahan ma az tarafe radio pouya dar shahre freiburge alman arezooye movafaghiate har che bishtare in banooye irani-ra darim va omidvarim ke eradate shoma khanume bozorgvar va eftekhare hamehye ma iranian sarmashghi bashad baraye hamehye banovan va aghayane irani. Ey shire madaretan halal, mara sarafraz kardid va shadi-i va sarafrazi-i be ma bakhshidid ke ghabl az an faghat az tarafe kooroshe kabir, saadi, hafez, molavi, ibn-sina, farabi va sayere daneshmandan va bozorgane iranzamin be ma bakhshideh shod. Warmest congratulations and best wishes. My family and I like any other Iranian are proud of you and your great adventurous achievement.You are not only The First Iranian Space Avangard, but also a very good model for our today´s Iranian youth. Congratulations Anousheh! What an inspiration you are for millions of people. I will be placing your picture on the spot of honor of my refrigerator so I can be reminded of your achievement everyday. Thank you for all that you have done and for sharing your passion and dreams. Congratulations. You are the first woman, the first Moslem, the first non European in space, and this is great ! But why did you agree to take off the Iranian flag from your flight suit, and to display only the US flag ? The logo on your website has both flags, so why did you cave in to the demand of the US govt ? I am sure that you are proud of your origin, so I don’t understand and am saddened by your decision. Women Soar! The sky is certainly not the limit for you Anousheh! We are all thrilled to watch your triumph. If you dream it, you can do it! as a woman and as an ansari, I feel proud of you and and want to congratulate for being the first woman to venture so far to the space. thank you for making honor to our name and for being an ansari. Awesome! It’s great to see how you unite the world watching your adventure. Looks like they have a small incident on the ISS under control. I can’t wait to see you float into the space station after docking on Wednesday! az in ke hamvatane man hastid ehsase ghoroor mikonam!!! Ride, Anousheh, Ride! Good luck on your trip and a have safe return. Gr8 work lady..u r n inspiration ! Again congrats,Bravo Mrs!We love you anooshe! Not any other moment makes you happier than a time when you make your dream true. I wish you enjoy every second your tour. افتحاریه که شما اولین ایرانی فضانوردید. و به اعتقاد من یه فضانورد حرفه ای هستین تا آماتور. سفر به خیر و سلامت. مهم نیست که اجازه ندادن که ÷رچم ایران رو رو لباستون نصب کنید. مهم اینه که دلتون با ایرانه و افتخار می کنید که یک ایرانی هستید. Conngratulations on your great achievements. Hope succeed in all you have dreamt for . You are an inspiration to all of us. Wishing you and your team mates a very successfull and smooth journey in space and we look forward to hear updates about your adventure. We await your safe return here in Bangkok ! Moshtaghe didare shoma va chesm entezar . It’s Amazing Anousheh, I wish you have a safe and memorable trip. How is your feeling in Space flight? Enjoy the Zero-G and Take the Snap shots of our planet please. We are living in same planet, the Earth. The all of the people be living in. After the flight, Please tell your impressions in the space flight for the all of the people. می خواهد، برسد.و انوشه گرامی ،توگواه این ادعا هستی. در پناه خدا همواره پیروز و افتخارآفرین باشی. Have a nice trip to space. اميدوارم به اهدافتون در اين سفر دست پيدا كنيد. You have realized one of your dreams and captured the attention of much of the world. By being such a dedicated and effective crew member of the Vostok mission and working so hard to achieve your dream of going into space, you have become a hero and role model for millions of young people around the world. You may not realize it yet, but in the next few years, many baby girls will be named Anousheh because of you, and many young people’s lives will be different because of the example you have given them. You work to bring people together to make space travel a reality and to help take humans to far planets. Even if that does not happen soon, you can be proud that helped inspire a generation to make it happen sooner because of you. Many people in Wisconsin are following your travels in space and wish you well. When you come to EAA, I hope to meet you and hear about your time on the space station and the next mountain you have set your sights on. Perhaps we in Wisconsin can be part of helping you reach your next goal. Please continue working hard to achieve new dreams and always be a shining example to those who follow your adventures! These moments are the graet ones that no one can ever forget. I hope your dreams come true and your goals acheived successfuly. نتوانستم پرواز شما را مستقیم ببینم، میخواستم همزمان با سفر شما به فضا برایتان آرزوی سلامتی و موفقیت کنم. اما حالا که به سلامتی در مدار هستید خوشحالم و امیدوارم سفرتان به بهترین نحو ممکن به پایان برسد و شما سلامت به آغوش زمین برگردید. اگه به من سر بزنید خوشحال می شوم. Anousheh, Congratulations! Your dream has come true. I too used to stare at the stars (still do), and dreamed of one day going up in space to do experiments. Stay safe and Godspeed! WOW!!! Congratulations. I was just reading the story of your launch in the NYTimes and the part about your aunt jumping up and down with joy as the rocket lifted off….brought a tear to my eye. Thank you so much…you are carrying the dream for millions of us on the ground who would give ANYTHING to be in your spacesuit this morning!! software engineer but you are in the space. Good for you. You proved women are no different than man. un bala khosh migzare.be khoda nemidunid az emruz sobh az joloye tv boland nashodam.montazeram ta 1 khabari az shoma biad.salamt hastid ke ? raftin un bala ma ro yadetun nareha ? salam bar etekhare bozorge iran, va dorood bar in bonooye mahboobe irani. sarkar khanoom ansari harekat zibaye va tarikhy shoma ra be fale nik migirim . omidvarim safar shoma daricheei bashad baraye aghazi gadid baraye pishrafthaye bozorge melate iran bashad. sfar be salamat.daneshjooyan daneshgah payam noore shahre khomein. have a nice time in where that we can’t go, we are from iran , plz come in our site, we will be very happy to have comment from yours . we are in the first step on this . With your flight you have achieved many firsts, each of which is a dream for millions of people around the world. sei una speranza per tutti noi quaggiù.. Thank you for all you do to encourage the youth to go for their dreams. vaghean ehsase ghoroor va eftekhar o baraye 70milyun hamvatan Avordi. You certainly are a shining star, and really looked like one what with the view of the burning rockets of the soyuz seen from below, where the rest of us, your fans and well-wishers huddle and wait for your safe return. We with the “deleh ramideh” – skittish hearts, bolting, startled, disillousioned. Longing to break free from earthly bonds. You’ve done it! You are companion, comrade and champion to us all! I hope you can see the persian persian gulf from there. Congradulations Anousheh. I have been following your training and blog, indeed your career since I first learned of your involvement with the X-Prize. I just finished reading your interview with Space.Com and I notice how often you mention your husband and your family, so easily, because they are so much a part of you. My wife, Sue, and I just celebrated 40 years of marriage yesterday. Last night, after she was asleep, I turned on the television to watch your launch into space, and I remember thinking how proud it made me feel to watch you go, even though you don’t know me. Just to watch someone go after their dream with such “life” and push the envelope, pull out all the stops and to see you achieve. It made me proud. You didn’t do it for money or as a career move, but because it expressed, at the deepest level, who you are and what you are made of. You are indeed an inspiration, but not just to women and girls. You inspire all of us. May God bless you and keep you, safely, in the palm of his hand. May you return to your family, refreshed, excited, and eager for more life. May God bless all those persons who you love, and may you see long life and full days in their company. Im so proud of you anousheh joon, you have taken an important step for all of us women, especially iranian women, I hope to see you arrive safely and filled with amazing memories of this incredible experience. Mashala, Zendebashi , Hamegi be shoma eftekhar mikonim. Amazing! I followed the X-Prize and have a keen, lifelong interest in space exploration and the further development of opportunities in space. I wish you all the very best and a safe voyage to the stars. Congratulations!!!! Ali and I stayed up and watched your launch last night and were as thrilled as you were! We are so proud of you and what you have accomplished for our generation. I could not help keeping the tears back seeing you saying goodbyes to your mom, your khaleh, Hamid and Atousa; but also was happy seeing you smile the whole time. Ali and I wish you a safe and happy return home. Have a blast up there!!! You have accomplished my dream. Eversince a teenager I wondered about the moon and the stars, wrote many poems about them and desired to visit them. Recently, I was asked that if I could not fail at any task, what would I choose to do? And I immediately responded to travel to the Mars! Others looked as if my dream was a fantasy one and out of reach. They wanted something more achieveable, but I knew that if I fail at anything I do it again till I get it right. Failure is not my fear, but if I could do one thing without limitations I would choose to do what you have accomplished, and here you are on space. You have no idea how exceptionally inspiring this news is to me for I know that before I die, one day I will step into the orbit and now my other dream is that as a citizen of the world to be able to meet you, another citizen of the world, in person, shake your hands, look into your eyes and share your desires to accomplish the impossible & to help the human race. Very happy to see your launch went well. Have a fun one and hoping to hear lots of stories from you through your site. Wish you luck ” up there” !!! May everything work out right! I admire your career and transcendent cross-cultural objectives. Good luck and take care of yourself. I loved the procedures and traditions of the Russian operation. and, though I hope and pray for a completely safe and productive trip, I want to give two web links about how important an understanding of Plasma is to space travel. What a wonderful achievement! Looking forward to your blog posts from orbit. And now you are more than a star because you are among them ! حضرت محمد(ص): اگرعلم برج ثریا باشد، مردمی ازقوم پارس به آن دست خواهند یافت. Good Travel Anousheh. We heart are will be with you! khoshbehalet! I am so proud of you and wish you come back safe. I also have your dream so please share your experience and feelings. Kheili arezou mikonam ke ye rouzi manam betounam in tajrobero dashteh basham,, kheili dast nayaftani benazar mireseh vali naomid nabayad shod. I am a 9 year old boy and I live in Fort Worth, Texas. I would like to go to space someday, also. Thank you for showing me that anyone can do it! My dad is also iranian and I am very excited! خانم انصاری. سفر بخیر و امید که سلامت برگردید. اگر شد تجربه خودتان را با بچه های ایران بیشتر در میان بگذارید و به یاد داشته باشید بسیار بچه هایی هستند که در کشور مادری شما که از فقر نمیتوانند به مدرسه بروند یا گرسنه میروند. لطفا هر طور که خود میدانید به بهبودی آنها هم فکر کنید. پیروز باشید. ممنونم که ایرانی و مسلمان موندید. من به عنوان یک زن ایرانی حتی اگر رویاهامون با هم فرق داشته باشه به شما افتخار می کنم. Best my wishes for you from your city location born Mashhad. Thanks for you bravest action and Pride for your Identity. WOW !!! Saw it on the news today. Absolutely amazed. You have my respect. You have the courage that I wish I posessed. I take my hat off to you. Have a great holiday! Best wishes for you from your birth location mashhad. We admire your bravest action and pride for your identity for keeping the name of Iran in the world. manam harvaght puldar shodam az in kara mikonam! خوشبختانه تا اینجا با مشکلی مواجه نشدید . البته دعای خیلی از ما ایرانی ها پشت سر شماست . امیدوارم افق های جدیدی به روی ما ایرانی ها باز بشه . این نوشته هم تقریبا 4 ساعت قبل از پروازتون نوشتید . خیلی مشتاقیم که از حس و حالتون در لحظه ی پرتاب آگاه بشیم . فکر کنم تا چهارشنبه 8 صبح باید منتظر باشیم که شما به ISSبرسید . موفق باشید و بدونید که ما این پایین چشمامون رو به آسمون دوختیم . Iam Pooya.i have 12 years old.I am From Iran and from city you were born Mashad.I watched your lunch to space and I was excited and very happy I best wishes for you and your safe return to Earth. I praise you as great human being. I hope you a safe travel. As an Iranian girl I’m so proud of you and wish you best of luck. I also hope you can see all of your dreams come true. Once more in my life you recognized me not to be afraid of having big dreams and following them. plz send my regards to stars and moon and the great sun! baese eftekhare hameye ma irani ha hastin. من خیلی به شما حسادت میکنم چون من از بچگی میخواستم اولین ایرانی باشم که به فضا میره اما نشد حالا میخوام اولین انسانی باشم که به مریخ میره از شما می خوام که برای من دعا کنید. BRAVOOOOO, you are brave, strong and amazing. wish you more success. waiting for your safe return. dar ghalbe maee. lots of love. Congratulations, Anousheh.It is dream of a lifetime and you are living it. Know that you have inspired a whole generation of people, besides making people in your birth country proud. There is no greater national or personal pride. emruz hamrahe u shayad royahye manam be haghighat peyvastan ba kari ke shoma anjam dadi mano be yade dorane bachegim andakhti ke hatta shabhaye sarde zemestun ta sob tu hayate khune cheshmam be asemun bud va inke royahaye diruz vaghiate emruzan agar bekhaym. anooshe jan emruz ehsasio be man dadi ke hichvaght nemitunam faramush konam. tori ke engar khodam raftam faza. hamishe delam mikhast kash un zamani ke avalin ensan be koreye mah pa gozasht mibudamo mididam( yani senam be un zamana nemikhore) garche tasaviresho didam amma na be tore zende, vali hala ba didane tasavire shoma anoosheye aziz dige in ehsaso nadaram. u be hameye ma fahmundi ke royahamuno hich vaght faramush nakonim . omidvaram be ahdafet beresi va khodavand negahdaret bashe. anousheye aziz behetun va be hameye irania in eftekhare bozorgo tabrik migam. shoma baese eftekhare hameye iraniya va hameye zanan hastin. baratoon arezooye movafaghiat daram. enshala be salamati bargardin. YAY!!! COngratulations Anosheh!!! I am so pleased you have finally accomplished yoru dream….Send us lots of cool Pictures…Champagne is my treat when you get back!!!! این امکان و موفقیت رو به شما تبریک میگم. امیدوارم به نتایج و اهدافتون در این سفر برسید. not only as an iranianian but a human being, i feel proud of u! and wish u a nice trip and look forward too hear abt ur trip. a question! what is ur next wish? Enjoy your trip. We are proud of you. You realize our childhood dreams. Good luck forever. We love you. salam khanoume ansari, behetoun tabrik migammmmmmmmmmm, baese eftekhare iranian va keshvare iran hastid, omidvaram salem o salamat ba koolebari az tajrobe bargardid. SPACE,ANOUSHEH.I`m so glad about it. My happiness tears for you. سلام خیلی خوشحالم که یک ایرانی به فضا میره.برای شما آرزوی موفقیت و سلامتی دارم.شنبه صبح حتما اسمان را نگاه میکنم تا شما را ببینم. Thank you for giving us hope by pursuing your dream. The magnitude of what you have achieved is historic and will serve to inspire students, especially young women, for decades to come. Thank you for your inner strength, courage and vision. Thank you for giving youth hope for tomorrow. ma chère Anoucheh :Ce matin , quand j’ai entendu la nouvelle , c’etait quelque chose de particuliers , indescriptible .J’etais fier d’être Iranien surtout dans en ce monde de tension , c’était extraordianire.Bravo Anoucheh, pour ton esprit de conquérent et de victoire .Merci pour la joie et la grande fierté que t’as pu injecté dans la veine des millions Iraniens expatriés à travers le monde. Je n’arrive pas à y croire… qu’en ce moment une belle Iranienne ,rentre dans ce club prestigieux, et qui tourne dans sa capsule tout en haut autour de notre planète et qu’elle veille sur nous tous…C’est inimaginable .Je suis vraiment ému et en larmes…ZENDEH BAD + SADHA AfARINES. khili jalebe emshab vaghti be asemun negah koni ba khodet fek mikoni ke yek Irani dige ham un balast va dar’e az unja be paeen negah mikoneh khili ehsas’e khoobi hast . vaghan tabrik migam behetun khieli khoob’e ke vaghti adam be chizi ke arezoo ro dar’e berese…kheili ham khoob’e ke adam natijeye talashe’sho mibineh.Kash in emkan vojud dasht ke shoma to in safar’e 10 rooz’e mitunestid az un bala baray’e hameye ma ha ke moshtaghe shenidan va danestan az faza hastim benevisid. How awesome! Enjoy your view of our world. Your acheivements make one proud to be part of the human race. نمی دونم چی بگم الان برنامه ی آسمان شب لحظه پرتاب سایوز رو نشون می داد. نمی دونم احساسی رو که داشتم چه طور بیان کنم. من خودم یه دخترم و همیشه رویای بزرگ من از وقتی که فقط 8 یا 9 سال داشتم سفر به فضا بوده. در لحظه پرتاب حس کردم خودم داخل سفینه هستم هم ایرانی بودن و هم زن بودن شما باعث شد این حس به من دست بده. نفسم به شماره افتاده بود یه حس و هیجان خاصی که تا حالا نداشتم به من دست داده بود. قلبم یه جور دیگه ای می زد واقعا حتی برای چند ثانیه هم که بود حس کردم این منم که دارم با سایوز به فضا می رم. فقط می تونم بگم خیلی خیلی خوشحالم. از صمیم قلب خوشحالم و براتون آرزوی سفر خوب و مفید و به دور از هرگونه خطری رو دارم .به امید روزی که همه ایرانی های عزیز به موفقیتهای این چنینی دست یابند . Greetings from Belgium (you know, the small but only country you can see from space because of the thousands of lights along roads burning all night long – the lights, not the roads ;)). Wish you to fully enjoy your 240 hours in space ! سفر خوشي را براي تو بانوي شجاع ايراني آرزو دارم.همشهري لحظات پرباري را برايت آرزو دارم. Salam Be To Ey Irani Khasteh Nabashi Ma Hameh Az Shoma Mamnunim.Akbaro Farsi Ham Elam Kon.Omidvaram Ke Movafagh VA Piruz Bashi. سلام . نمیدونم چتور میتونم احساسات خودم رو بروز بدم … فقط میتونم بگم که امیدوارم که همیشه در تمامی مراحل زندگیتون مثل موفقیتتون توی برنامه فضایی سویوز ( تی آی ام ناین ) به تمامی اهدافتون برسید !!!!!! یعنی امکانش هست که منم بتونم یه روزی مثل شما بشم ؟! یا اینکه یه روزی توی ناسا باشم ؟! I have been following the Nasa fleights for some time now and have often thought that all humankind should be made to watch the videos coming down from ISS and the Shuttle. My thinking has always been…. “It’s so small… It’s so frigile” meaning our earth, our little blue marble. Often, I have looked at the clouds, then through them and thought of the people killing, murdering and doing heinous things to each other, to the other inhabitants of this world, to themselves and perhaps most important, to the world. I have thought those things and during one of the interviews, you were saying them, and I thought- “What a beautiful person”. That was the first I knew of you. Your honesty, your insites, your personality (and hard work) have put you in a position to affect all the citizens of earth, and I hope that you will use it fully. And, honestly, I hope that it will bring you material gains so that you can continue to do the good things that you are doing. I believe that you can be a shining star to alot of us, that you are a shining star…. just by being you! And, maybe mostly to the children, not just in Iran or here in the US, but to all. droude faravan bar shoma banooye tavanmande Irani. man hasti 20 sale az mazandaran khoshhalam ke be hamchin movafaghiate bozorgi dast peida kardid & be donya neshoon dadid ke yek banooye Irani & mosalman ham mitavanad ghadam dar fazaye bikaran bogzarad. We are so proud of you as human being, a woman and an Iranian. Thanks for your courage and all the best for your future. Beauty, Brains & Courage! You do the human race proud. Have fun, and c’mon back to give the rest of us the kick in the pants that we need to follow! Don’t worry about people not watching. I called about 15 people in my family at 1045 CST and demanded they watch this historic flight. Most of them, I am happy to say, were pleased I called as they were also looking forward to the launch. What a fantastic moment for her! We are all proud! See you all at the XCUP. I am trying to let everyone who can’t make it know that I will be driving 3177 miles from Minneapolis with three of my good friends; we will be posting images and video on my blogsite: newspaceage.blogspot.com of your much anticipated event! Congratulations on a wonderful day! As yesterday unfolded, we watched for hours as your pre-launch suit-up and interviews took place. The theater was filled with your friends who were literally glued to the screen unable to tear ourselves away. We cheered when we saw your family waving and wishing you well. We held our breath and crossed our fingers until the final boosters had performed their task to rocket you into space. And we puffed up with pride when you waved for surely you were waving at us. Though far away, the sparkle in your eyes shined through. Savor every second in space, then return home for you are truly missed. i love space the same az you bot i dont have inoght mony to traveling. i live in tehran (your city) in thete i can not see sky because the weather is polloted and i’m so sad about it. you can make me happy if you visit my weblog. if you write a comment you make me very very happy. you don’t do it,did you? Anousheh! I’m So proud of you.good luck Iranian lady. ……………………….. ._._. RAM ._._. ………………………..
باز هم برای شما آرزوی موفقیت می کنم . به امید سفر خوش برای شما . ما در زمین منتظر بازگشت شما هستیم . Felicitaciones y adelante, espero que publiques muchas fotos. Nuevamente felicitaciones. Im a girl irani , 19 age. I am very happy, becauce you went to space. This is ISS track for IRAN over Tehran. امیدوارم خوب باشید. حس می کنم از اون بالا بهتر میشه به خیلی چیزها فکر کرد. شاید هیچ وقت دیگه اینقدر از آدمها و زمینی ها که به نظر می رسه تنها فکرشون خرد کردن یکدیگره دور نباشید، و این سفر شاید شروعی باشه برای یک زندگی بهتر. سلام من رو به همه شگفتی های این عالم برسونید. من هم خیلی آرزو داشتم که جای شما بودم اما برای من چنین آرزویی چیزی نیست جز آرزوی محال. در هر حال برای شما آرزوی سعادت و کامیابی می کنم. من اگر جای شما بودم بیشتر به زمین نگاه می کردم شاید چیزهایی رو که روی زمین نمی فهمیم از اون بالا بهتر متوجه بشیم. My 6 and a half year old daughter thinks you are the bravest, most awe inspiring person in the world, she says she’s finally found a hero! Well done! If more women like you can give girls like mine the inspiration to carry out their dreams, no matter how big, then the world can only get better! I myself am soooooo happy for you! How proud those around you should be too! Good on you girl! سلام…how a good report.i wish you so good trip there.i think there should be a good time to see what could not see in here…be happy. Congratulations Anoushe 🙂 So glad that you got into orbit safe; should be a wonderfull experience. Wish you a very safe saty and adventurous flight. Congratulations Anousheh! Afarin! I think I can speak on behalf of all other Iranian readers and say how proud we are of you! I would also like to add that you’ve kept at setting records: first person to blog from space, and most probably first person to take photos IN space and send to Flickr! I have two daughters who hear nothing but negative things about our political leaders these days. They need somebody to look up to, and women like you provide a goal and inspiration that is priceless. I wish you the best of luck on your space trip, return home safely and continue to be an idol. I salute you. Wishing you all the best during your “out of this world” voyage. From a native Dallasite, Congratulations and Salutations. Godspeed to you in orbit. You go in Peace for ALL Humankind. A year ago, I gave a book to Amir, by R. Buckminster Fuller, titled “Critical Path”. Bucky would be proud of you today were he still alive (at age 112!). The Global Sustainability of Humanity is being done a tremendous service by your endeavours in space, and I lament the deplorable coverage of your acheivement by the US media. I am travelling at the moment, not in Dallas, however Channel 8 (Belo) were paying respect to your pending launch over the weekend before I left town. Unfortunately, the current google result set leaves much to be desired. Your achievement is not being rewarded in the press, and unfortunately, we all know why. Gaze upon the firmament for us all, revel in the freedom and awareness of your unique position. As an Airline Pilot,I know how much you love fly and sky. I am very proud of you,I can not explain my feeling inside,about your accomplishment,just “SAD AFARIN BAR TOE”. I bet your parents are very proud of you. Enjoy your time and safe returns. As an iranian and as a woman I am so proud of you and I wish you the best of luck. برای تو در این سفر آرزوی سلامتی و موفقیت میکنم و امیدوارم که به سلامتی از سفرتون برگردید ………. Tanha chizi ke mikhastam begam in ke on aksi az shoma ro ke didam ba madare mohtarameton khodafezi karde bodi mano narahat kard goftam age man mamanam ro bebinam bade 15 sal chi mishe ? این نامه را برای شما می فرستم تا بگم که به شما افتخار می کنم, به خاطر اینکه یک خانم هستید, یک ایرانی هستید, یک الگو هستید, یک الگو برای تمام بانوان این مرز و بوم که بهشون بگید که یک خانم ایرانی بودن نشون دهنده ی محدودیت نیست یک خانم هم می تونه به اهدافش برسه با تلاش با پشتکار با زحمت با امید و اگر خودش واقعا بخواد همون طور که شما خواستید و تونستید . از ته قلبم برای شما آرزوی موفقیت نه تنها در سفرتون بلکه در تمام عرصه های زندگیتون می کنم . Congratulations on your astronomical achievement! I hope you are well and safe while having the first space adventure of your life. I have admired other Persian women whose families left Iran when the theocratic government threated to stifle their achievements. I am certian you, like these I’ve known, are as proud of your advanced education in the United States as the traditions and early schooling from your native Iran. Of all these notable Persian/American women you are the most outstanding today. Can you please forgive us “americans” for wanting to claim you for our own? P.s. Flags can both separate and unify. What would you wear on your shoulder to represent Earth or a Universal citizenship? wish the best for you and looking forward to see you back safly!! omidvaram ta injaie safar hich moshkeli baratun pish nayumade bashe. Congratulations and I ask God to grant you success and many, many more trips! your success carries the hopes and dreams of so many of us who want to be up there too. I hope you make space travel affordable for the millions who are rich in hope and dreams. Your example teaches never to give up. Thank you for not giving up! something which is prizeless..you gave hope to so many people..
i was helping my 10 year old daughter with math tonight and my motivation line for her was, look…if you want to be like Mrs Ansari, you need to work hard.. and yes, for the first time she listened to me… 🙂 Thanks… Javid iran… Merci…. All the Iranian proud of you dear Anoushe and we love you much.Congratulate you and wish you the best DEAR DOUGHTER OF IRAN! A good journey and we wish a good return.I think you inspire many teenagers on this planet. Have a safe and wonderful journey! It is amazing to read all the comments. You are a true inspiration to everyone worldwide. This trip is a turning point in history. Congratilations, Anoushe! All Azerbaijanian proud of you! Your dream has come true,our dream has come true,too!you entered the Space! We are proud of you! شهر عشق “مشهد” به انوشه نازنین ومهربان با آن لبخندزیبای همیشگی. PS.can you please add RSS Feed to this blog? Salam. Man Natoonestam Bekhoonam! Age momkene Be Farsi Type Konid. Kheyli Doost Daram dast neveshtehaaye khodetoon ro bekhoonam. movafagh baashid. felan. Te estare observado desde abajo Anousheh!! I’m so proud of you, it was so exciting watching you on Nasa TV. You signed one of your newsletters for Roxanne, “DREAM BIG” now she understand what you mean. We are all waiting for your return, and once again we are very proud of you azizam. Eric Hoffer (1902-1983) American philosopher and author. امیدوارم که در زمانیکه توی فضا هستید لحظات خوب و خاطره انگیز را بگذرانید. من هم به آسمان و فضانوردی علاقه زیادی دارم و دوست دارم بتوانم در آینده در ناسا کار کنم. امیدوارم سفر شما باعث بشه که ما هم راحتتر بتونیم این آرزو را داشته باشیم که روزی به فضای بین کرات برویم. امیدوارم که بتونید از توی فضا برای ما هم توی وبلگتون مطلب بنویسید. و خیلی دوست دارم بتوانم یکروز شما رو از نزدیک ببینم و از اطلاعاتتون استفاده کنم. I am a student at Jasper High School in Plano, Texas. I am part of a journalism course that produces a show every tow weeks that is shown throughout the Plano Independent School District and all over our school. We would really love to do a story about you and your facinating journey into space with your permission. We were also wondering if we would be able to get an interview with you anytime after you come back to Texas. It would be a great honor to do this story. Good luck on your trip! Congratulations & I hope your life filled with love to Iran and success daily. omidvaram salem va salamat bargardi va az residan be arezot shad bashi . shayad baravarde kardane arezoye ye ensan ingad khoshhali nadashte bashe ama age ye rozi be ingad pool beresam gabl az inke be arezoye khodam fekr konam be arezohaye mordeye chand javon fekr mikonam . be onvane ye iranie hamvatan baraton arezohaye khob daram . Of coarse I don’t think that I be your relative. This is just a family name similarity. But I have big dreams as yours and I think this makes us a family, doesn’t it? I’ll be so glad if you write a book about yourself and answer so many questions about yourself. Let me ask one, and I hope you answer it. vaghean hameye dokhtarhay irani ra shad kardid .shoma maye eftekhare ma iranian hastid makhsosan ke mashhadi va hamshari hastim.rasti yek soal dashtam,shoma ba daneshgahaye iran ham dar in safar mokatebe mikonid.rasti ghasde safar be inja ra nadarid.age iran oomadid ye sari ham be inja bezanid ,khoshhal mishim .omidvaram vatanetoon ro faramoosh nakarde bashid. az oon bala iran ro mibinid.khoshhal misham javab saoalamo bedid. ba arezooye salamati va movafaghiyat shoma. Congratulations Anoosheh joon , I am a iranian girl and wish always like u ! I want to go to space one day, when i heard about your program and your goals and now i see u in the space , in the middle of your dream ( or same dream like me) I am so excited and just want to cry because I think I am in the space now . I and all the iranian proud u [ hamayeh ma be to eftekhar mikonim ] , I can not believe it that I write from Iran from Earth and you read this things in the space , and you connect with us from another world , from my dream ! i wish that see u in Iran very soon . kiss u from Iran . خانم انصاري اگر ميشود براي من كه جواني 21 ساله وعلاقه به نجوم دارم از فيلمها و تحقيقهايتان هم بفرستيد شايد خدا را چه ديدي لطفش شامل حال من شد و من هم اولين مرد فضانورد از ايران شدم اما قول ميدهم كه اگر شدم من هم براي شما از تحقيقاتم بنويسم..
در ضمن من در دومين رشته مورد علاقه ام در حال تحصيل هستم فيلم سازي و نويسندگي فيلم نامه و …اگر كمكي از دست من براي شما ساخته است خوشحال مي شوم . ey kash hame mitoonestand khosh bashand ba pool ba be mah raftan .vali ye chize deege hast ke hame doost darand gheir az pool dashte bashand va oon arameshe. enshallah hamishe aramesh dashte bashee o movafaghaghiyat. درود بر شما که ایرانی هستید و ایرانیان را دوست دارید.همه ی ایرانیان شما را دوست دارند و برای شما آرزوی موفقیت می کنند.من هم مانند همه ی ایرانیان دیگر آرزوی رسیدن به مقام شما را دارم .سلام ما را به خدا برسانید و سفر خوبی داشته باشید. You are great,as great as the Cosmos you are orbiting in! من روزی که این خبر را شنیدم بسیار ذوق زده شدم.من دانشجوی سال آخر رشته هوافضا هستم. خوشا به سعادت شما که توانستید دنیایی بیکران از نعمات و قدرت بی کران خداوند را از نزدیک مشاهده کنید. البته سایت من بزودی رو شبکه میرود. I’m glad to see that your journey is successful.Have a good abord. When you will be backon earth, please create a NGO for african children which are suffering from non-fooding or need help to persuse their studies. سلام امیدوارم که به سلامتی به زمین برگردین این افتخار ماست که یک بانوی ایرانی به فضا سفر کرده.به امید دیدار تصویرتون از تلویزیون. دوست دارم با شما مصاحبه ای برای یک هفته نامه جنوب ایران داشته باشم اگه مایل باشین . حتما برام آف زاریت البتع اگه وقت داشتین. iv made my mark on your site! oooooh yea:) although not a very prominent one cos there millions of comments. well anyways… everything that everyone else has said… i agree. cept i probably shouldnt agree with the ones in iranian xos i have no idea what there saying, but im sure its lovely cos your awesome. you rock my socks off! روزبروز شاهد موفقیت و تلاش شما برای ایرانی با افتخار و عظمت باشیم . salam.thanks for all of proud. Be omid Pishraft haye gostarde Iranian dar tamam sotoh elmi va faramosh nakardan Iran va bache haye Irani Tavasot Iranian aziz Kharej az kshvar ke pishraft haye ziadi baraye digaran dashtan ..
فقط این را بدانید که می توانستید با این پول هزاران نفر را از فقر نجات دهید . Hope to visit you in Earth, Soon. از اینکه با موفقیت خودتان عده زیادی را خوشحال کردید از شما تشکر می کنم(من هم یکی از آنها هستم), دنیا به شما افتخار می کند. shoma yeki az eftekharate bozorge ma hastin khano0ne ano0she ,beheto0n tabrik migam.va arezo0ye movafaghyat barato0n daram.kheili do0s daram jaye shoma basham:( vali Nistam moteasefane:(……….Omidvaram harche zo0dtar be salamat bargardin……. Hi!I congratulate you for your successful perch. I am really happy that our country has some brave women like you that try to show our rich culture and our people. I have best whishes for you. I hope that one day we visit you in your country IRAN. You can contact me in : Hamid_ghasemy2006 . how are you doing todays? i am from iran/tabriz .i would like to hear more about your trip to the space.would y please send me mail about that. it would be nice of you. you are our cuuntrie,s proud. alan az akhbar radeo iran shanidam ke salem be zamin dar aesgah ghazaghstam nashashti barat arzo movafaghet bishtar daram. mayah aftekhar iran hasti ma be shoma mibalim.agar baraton amkan darh ya aks az khodeton dar faza baram emial kon. successful Iranian woman, achieving your dreams and lifting all of us up with you on your wonderful journey. I cannot imagine what was in your thoughts moments before you took off but I was crying tears of joys knowing you would be carrying the hopes and dreams of so many here on earth. The launch was an act of joy and you made believers out of those who may have given up on their dreams or have lost their sense of direction, especially our troubled youths. Your achievements in business and now in space exploration continue to brighten your star as a role model for young woman, in particular. I hope one day I will have the honor of meeting with you and shaking your hand. Thank you for staying true to yourself and pursuing your dream, you are truly a winner, and our shooting star. من از آزادي تو خوشحال شدم و اين انگيزه را براي من ايجاد كرد كه براي آزادي خودم تلاش كنم ..
man yec iraniam va be irani bodanam eftekhar mikona.